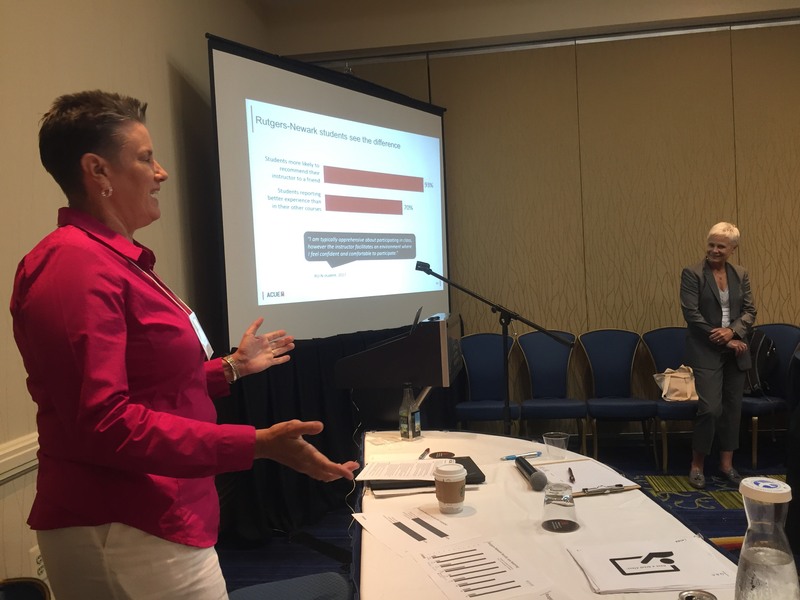 In Baltimore Friday, the American Association of State Colleges and Universities (AASCU) kicked off its 2017 Academic Affairs Summer Meeting with a challenge. 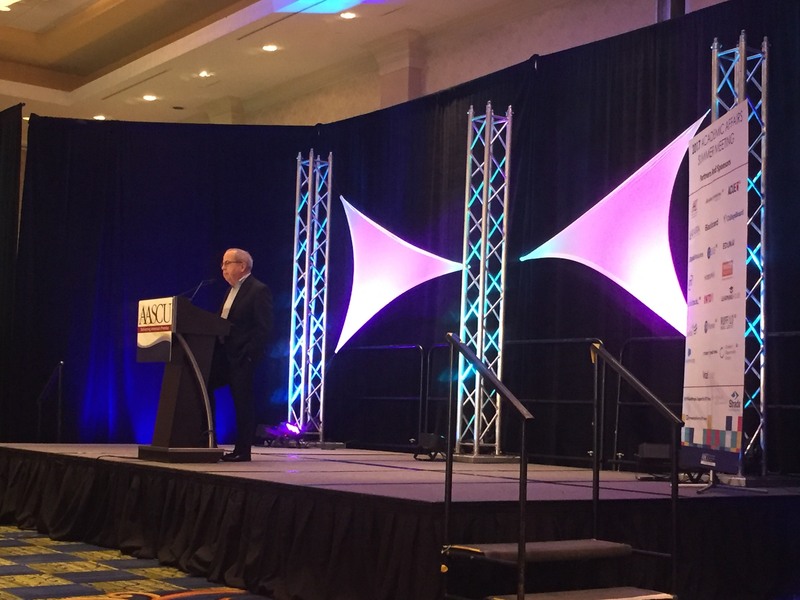 “Do you intend to be part of the problem or part of the solution?” Dr. George Mehaffy, AASCU Vice President for Academic Leadership and Change, asked in his conference welcome. Mehaffy enjoined AASCU members—college presidents, vice presidents, provosts, deans, professors, and others—to consider three aspects of inequality he sees confronting today’s higher education leaders: economic disparities between the rich and poor, educational disparities between the rich and poor, and nationwide political divisions. Of these, the issue of educational disparities particularly resonated with the conference theme, Curricular Coherence: Finding Meaning and Purpose. If improving graduation rates is not properly addressed by 2020, Mehaffy said, some five million jobs requiring college degrees will be left unfilled. Therefore, he told attendees, one of the top priorities for institutions must be preparing students for the workforce. In their session, “Coherence Starts in the Classroom: The Critical Role of Faculty in Helping Students Find Meaning,” Dr. Bonnie Veysey, professor and vice chancellor for planning and implementation at Rutgers University-Newark (RU-N), and Dr. Penny MacCormack, chief academic officer of ACUE, reinforced the importance of Mehaffy’s challenge. They explained how evidence-based instruction is essential to improving students’ experiences and, ultimately, their success. Dr. Veysey discussed how RU-N is advancing effective instruction using ACUE’s Course in Effective Teaching Practices as a cornerstone of its new P3 Collaboratory for Pedagogy, Professional Development, and Publicly-engaged Scholarship of which Dr. Veysey is the inaugural director. She shared preliminary data that demonstrates significant gains in faculty learning and student experiences by ACUE-credentialed faculty. During the session, Dr. MacCormack gave attendees an overview of ACUE’s program and led attendees through a module on transparent design. The conference included approximately 75 plenaries and sessions, as well as opportunities for attendees, more than 400 AASCU members, to connect. Here are some highlights. Among the leaders in student success initiatives is the Re-imagining the First Year of College (RFY) initiative, whose goal is to dramatically improve the quality of the student experience and learning opportunities in the first year, resulting in improved retention rates. RFY focuses on those students who historically have been underserved by higher education: low income, first generation, and students of color. Prior to the start of the Summer Meeting, members of the coalition—44 institutions and their sponsors—convened for a preconference workshop. 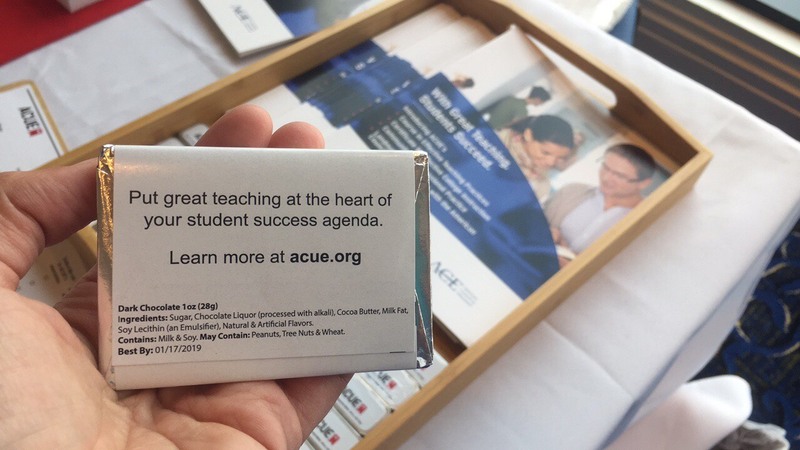 ACUE hit the sweet spot by decorating its AASCU exhibit table with chocolate bar swag. Turns out candy is a great conversation starter!